The usage of videos for learning is an established practice. Traditionally, it has been used to offer scenario-based learning, and it continues to be a popular choice for soft skills and compliance training. With the wider adoption of mobile learning as well as microlearning in corporate training, the usage of video-based learning has moved to the center stage leading to an extensive usage of microlearning videos. Video-based learning offers a wide spectrum of high-impact design formats for eLearning that create a sticky learning experience. Its versatility enables its usage for formal training besides the more extensively used avatar as Performance Support Tools. An interesting variant of classic video-based learning is the interactive video that creates a 10x impact and offers learning interactions that are similar to what the eLearning courses offer. At EI Design, our practice of video-based learning for eLearning is over 7 years old. It began as a part of our performance support intervention portfolio, and over the years, it has grown to encompass a wide repository of design formats to offer formal training as well. Our customizable interactive video framework. Next avatar-microlearning videos that can be used to offer formal and informal training. Other organizational initiatives like awareness creation programs and promotional videos. An introduction to video-based learning. An introduction to microlearning videos. 14 examples (success stories) from our huge repository that demonstrate how you can enhance your existing eLearning strategy with video-based learning. Do read this eBook, Video Based Learning For Corporate Training—14 Examples—Including Interactive & Microlearning Videos, and use these pointers to uplift the impact of your current eLearning strategy. What is driving the wider usage of video-based learning? What are microlearning videos, and how can you use them in corporate training? 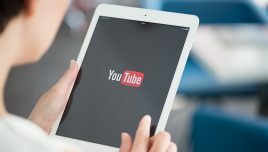 Why is there a sudden buzz on microlearning videos? Why should you invest in microlearning videos? What are the key benefits of using microlearning videos? What are the tips as well as best practices you should incorporate as you create microlearning videos? This section provides an introduction to video-based learning for corporate training (eLearning). 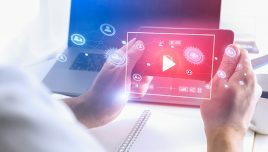 It provides insights on what is driving the adoption of video-based learning for various facets of corporate training that includes both formal and informal training. It also brings out the challenges with classic video-based learning approaches and how this can be flipped through the usage of interactive videos. The section wraps up with 8 examples that give you clear pointers on how you can use video-based learning for your eLearning solutions. 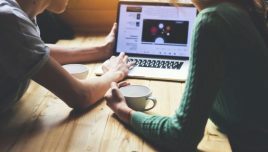 With the increased adoption of microlearning-based training approaches, the video-based learning too has integrated the use of Microlearning techniques. This section provides the definition of microlearning videos and outlines how exactly they can be used for corporate training. It outlines the business case for the usage of microlearning videos and summarizes its key benefits. It also touches upon a few tips as well as best practices that you can use to maximize the impact of microlearning videos. The section wraps up with 6 examples that give you pointers on how you can use microlearning videos for your varied training needs. Do download this free eBook, Video Based Learning For Corporate Training—14 Examples—Including Interactive & Microlearning Videos, and use it to successfully enhance the impact of your corporate training through video-based learning. The eBook is designed as a guide to help you evaluate the options within the wide spectrum of video-based learning offerings for eLearning. The examples showcase how you can use these videos in various avatars (including the interactive videos and microlearning videos). Do download the eBook Video Based Learning For Corporate Training—14 Examples—Including Interactive & Microlearning Videos.